Peter "Kog" Godfrey is one of Australia's Leading Authors on Marijuana cultivation. His seminal book "Marijuana - A Grower's Lot" has sold over 2,500 copies. UPDATED! 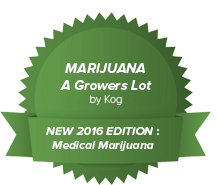 2016 Edition includes new section on the future for growers everywhere - Medical Marijuana. The DVD Too Hot for YouTube! After over 200,000 viewers were turned on to Kog's 1hr video "Growing Marijuana for Fun & Profit" YouTube deleted the video threatening fines! If you missed this hugely popular video, you can get it direct online. 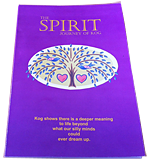 2016 Edition Softcover 191 pages, 90 full colour illustrations. A radical book with heaps of practical grower's wisdom. Acclaimed world-wide for the author's attitude to unjust authority as well as his horticultural expertise. Instead of buying the book alone, for an extra $10 you get the DVD as well, highly recommended. The aim of this little grow guide is to show you how to grow a crop of "bush tomatoes" and make enough dosh to whatever you want. 12 page booklet for new and old growers! 30 years of home brewing experience by Kog. 35 minute DVD - Get pissed for a dollar! This is Kog's 66th reincarnation as a human being and hopefully the last. If he doesn't write this book, he'll be back again for another incarnation. So for Christ's sake, get it right. Kog's Brand New Project! Triumph Engine Rebuild! After riding Triumph motorcycles for over 30 years and a million miles, Kog shares his experience keeping a Triumph bike going, including a full engine rebuild on his 1986 model Bonneville. This DVD set is 4 hours long over 4 DVD Discs - a comprehensive and detailed instructional video!